There’s nothing in this world quite like Sole Sisters. Sole Sisters Women’s Race Series is a pioneer in women’s racing in Eastern Canada. We were the first women’s only 5K in the Maritimes, and today we remain the largest women’s only 5K in Canada… but that’s not all, we’re also the only women’s half marathon in Eastern Canada. Although we are super proud of our accomplishments, they wouldn’t be possible without the amazing women that we call Sole Sisters. 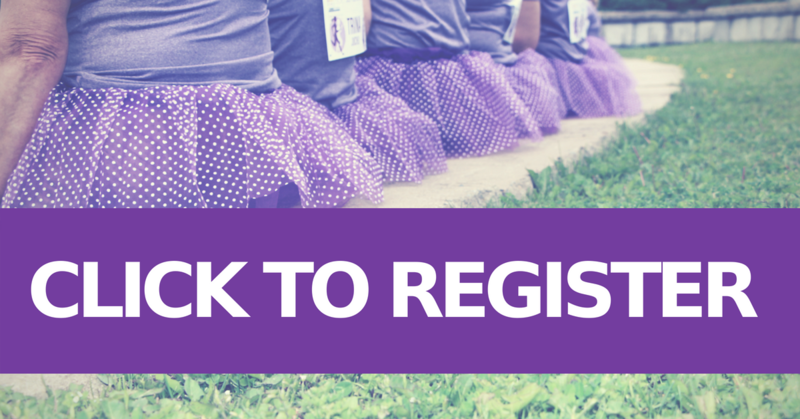 Each year, thousands of women run in solidarity; as a community, as friends, as strangers, as Sole Sisters. Our events have become a tradition – a time for women to celebrate with friends, run for someone who can’t, achieve a goal, and take time to recognize how truly wonderful they are. 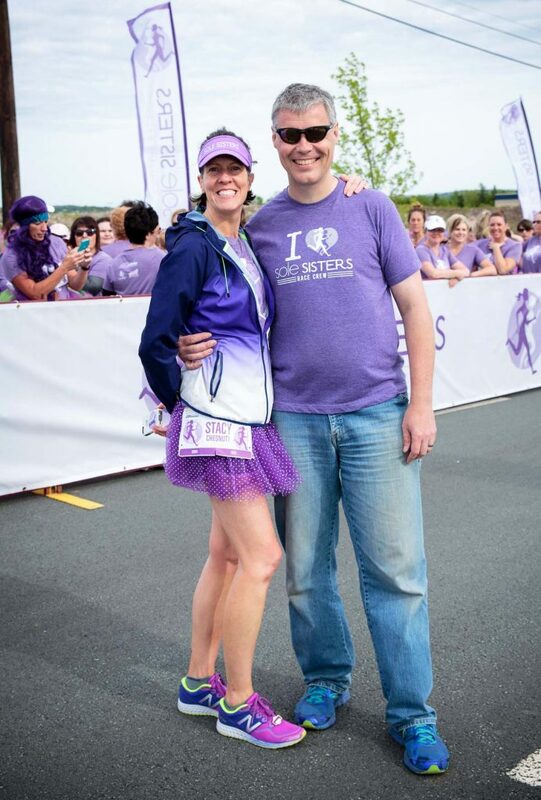 Listed as one of Canadian Running Magazine’s Bucket List Races, Sole Sisters takes place in Dartmouth, Nova Scotia, and welcomes runners and walkers from all over Canada, the U.S. – and even the Cayman Islands and Australia! We’re joined by women of all ages, shapes, sizes and abilities, in fact – one year over 24 race participants were 70 years of age and older. Our events are truly unique, and fun… they are so much fun! We have music, chocolate, hug stations, tutus and more! Sole Sisters Women’s Race Series is invested in our local community, we’re the financial driver for Girls Gone Gazelle Run Club (“GGG”) which is a FREE confidence club for girls 9-13 years old. GGG has three separate training groups annually (spring, summer and fall) that trains girls for a 3-5K running race at the end of their training period. In addition to the running practices there are weekly guest speakers that discuss their non-traditional careers with the Gazelles. Before society has a chance to tell the girls what they can and can’t do, we tell them they can do anything if they prepare for it and work hard. Even if the girls don’t stick with running we know that their confidence is boosted by the program and the exposure to female captains, pilots, architects, scientists, doctors and more. 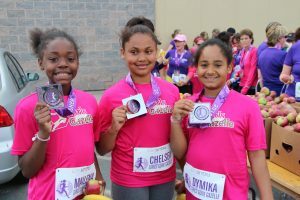 Sole Sisters Women’s Race Series is the reason Girls Gone Gazelle Run Club has expanded and remained entirely free to participants. 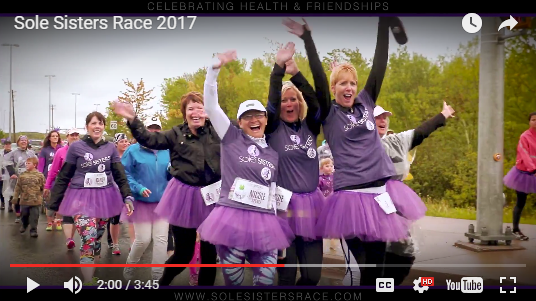 And while Sole Sisters Women’s 5K began as a way to fund Girls Gone Gazelle Run Club it has done a very similar job of empowering its 20,000+ participants which represent every age group from pre-teen to octogenarian. Sole Sisters have also learned that they too can be fit, active, healthy and confident regardless of when they start exercising. In 2016 the June Sole Sisters 5K expanded to be an actual race series with three events. The Sole Sisters June 5K, the Quarter & Half Marathon and Little Miss Sole Sisters. In 2019 the races will merge into one amazingly awesome Women’s Race Weekend. Who is behind Sole Sisters Women’s Race Series? Stacy Chesnutt is an east coast runner and the race director of the well-known Sole Sisters Women’s Race Weekend. Stacy has been racing for over 30 years and has completed 8 Ironman Triathlons (including the Kona World Championships), 60 marathons (with a 2:59:05 PB) and most recently 50 and 100-mile trail races. She races as often as possible and tries to find a race whenever she travels. As a result, she has raced in London, Ireland, Prague, Bermuda, Spain and throughout North America. Originally born in Nashville, Tennessee, Chesnutt spent much of her adult life in New York City and moved to Nova Scotia in 2006 with her husband Tim (doesn’t he look great in purple!). 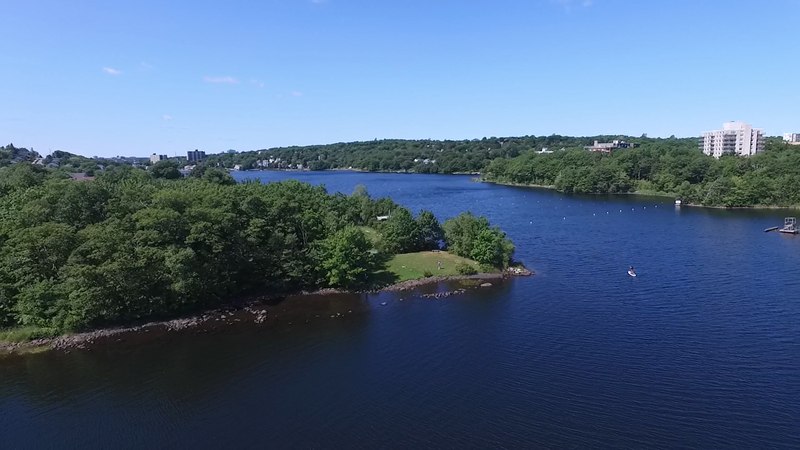 With dual citizenship, Chesnutt proudly considers herself an AmeriCanadian and has made the East Coast her home. As a runner, Stacy understands the importance of a healthy lifestyle, and fully believes that fun is an essential component of that. 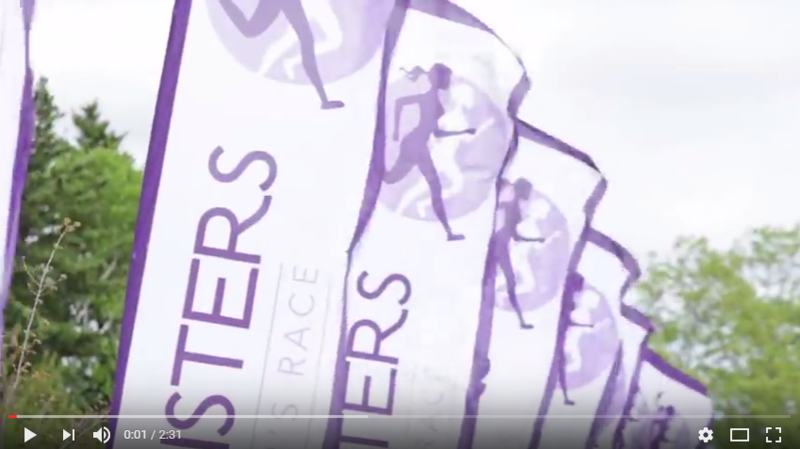 Stacy designed the Sole Sisters Women’s Race to appeal to women of all fitness levels, encouraging both walkers and runners to focus on Finish Lines, not Finish Times.